E2110 C8051F410 Development Board | Locus Engineering Inc. 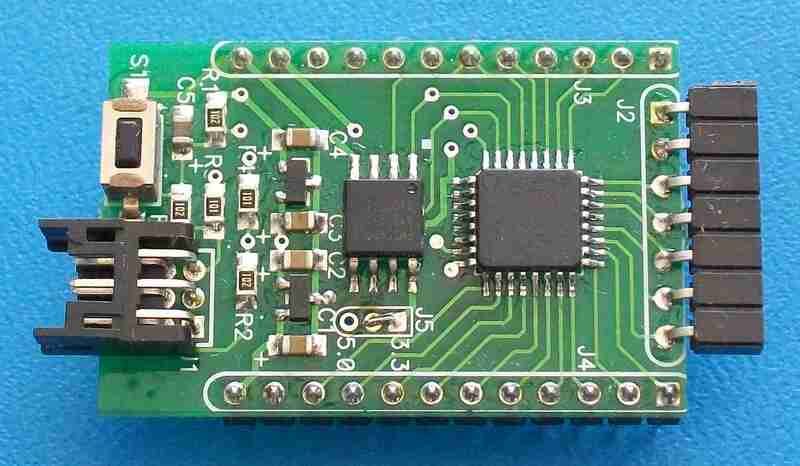 The E2110 C8051F410 Development Board includes a Silicon Labs C8051F410 microcontroller, +5.0V and +3.3V regulators, 6 pin C2 interface, reset switch, serial flash memory, and a connector compatible with the E1832 Display Switch Interface board. The ‘F410 includes an internal 24.5MHz oscillator, 256 +2048 bytes RAM, 32KB Flash for program, 24 bit I/O port, UART, 4 counters, programmable counter array, 12 bit 200K sample/sec ADC, and (2) 12 bit DACs.